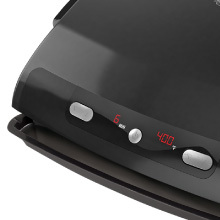 6-Serving Removable Plate & Panini Grill with Digital Temperature - Black is rated 3.6 out of 5 by 19. Rated 5 out of 5 by Thomas from Awesome!! Grill This is the perfect grill I've had it for years and it cooks steaks and salmon to perfection. My issue now is the plates finally started to wear and I was wondering if I can order new plates for it or do I have to buy a whole new grill? Rated 5 out of 5 by mbgpackers from BEST FOREMAN EVER!!! I LOVE THIS GRILL. I use it all the time. It's easy to clean, easy to operate. If I was to tweak it I would make the time have more time. I love cooking bacon on the foreman and WILL NOT cook bacon any other way. Love it and please never change it. Rated 5 out of 5 by Mary from Great grill I have used this grill for several years and it's always been dependable. The plates are removable and it has a light up temperature gage. Features easy cleanup and no pre treatment needed just select the temp and put the product you are grilling on. Very pleased. Rated 3 out of 5 by Fancymay from Replaceable Removable Grill Plates I am in the market for a new GF Grill. One of the reasons why I go through them is because the coating wears off. It would be nice if they sold new grill plates so that we would not have to buy a whole new unit. This message is directed towards the makers of the GF Grill. I still will be purchasing one, I will just look on other sites to see if I can get a better price. Thank you. Rated 4 out of 5 by TexasHealth from Not as good as the original I purchased this GF grill almost a month ago. It looks as good as the original one we were given many years ago, but the booklet with the original is now a page; the grill with removable plates seems to be the same a before, but it does not heat up like the original one did and I must cook things much longer. Granted, I now have to take more time, the tops do not get brown as before, but it will do the job - just not as well. Of course, had I not accidently dropped our old one, we would not have needed to purchase this one. Rated 5 out of 5 by top258 from Foreman Grill This is one of the best grills that I have ever had. Originally I had one for about ten years. It was just to small now and I purchased a new one that can cook 6 servings and I love it. Rated 1 out of 5 by DissatisfiedCustomer67 from Poor Cooking Tonight is the first time I have used this grill and I am very disappointed, in fact I hate this new Foreman Grill. I cooked six hamburger on this grill and it took FOREVER to reach 300 degree and never reached 425 degrees. It literally took over 25 minutes to cook the hamburgers. 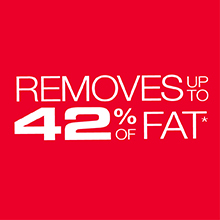 I would not recommend this product to anyone, in fact I would encourage others not to buy. 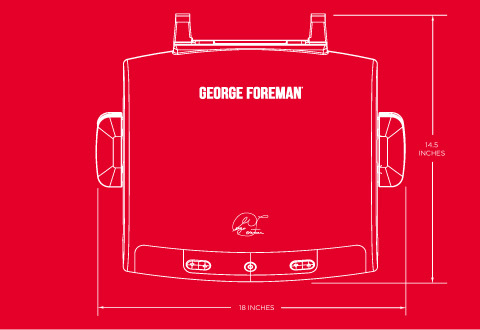 It is a same, I have had many of the Foreman Grills and have always enjoyed them. Well not now. 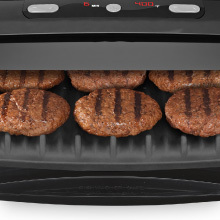 Rated 4 out of 5 by mbfrebel from Absolutely Love this George Foreman Grill !!!!!! My husband and I use this grill everyday. And I mean every day! 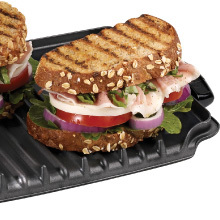 We would have given it 5 stars, but we wish you could replace the removable grill plates. We have gone through 2 units already because the coating on the plates wear out and they are not replaceable. Don't get me wrong. We love this grill! We have had both grills for 5 plus years each. For Christmas this year, we got as a gift, the new George Foreman Evolve grill. It also has removable plates, but has additional ceramic grill plates, as well as waffle, omelet, deep dish and griddle plates available. Can't wait to start cooking with the new Evolve grill.